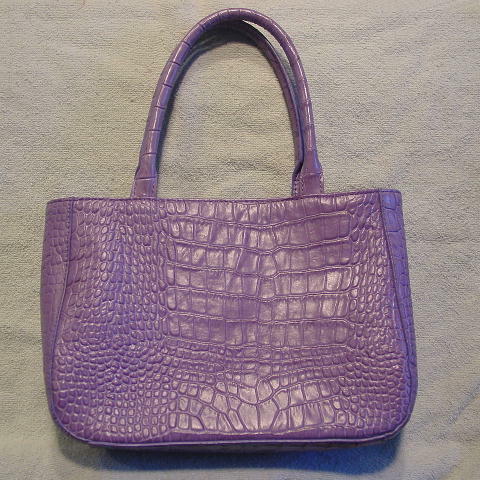 This never-used purple leather purse is by Express. It has a lavender fabric lining and the top is open. There are two 13 1/4" long leather handles. It has an embossed alligator pattern.